Gite / holiday and vacation rental / self-catering house, cottage & studio available for weekly rental. An outstanding 18th Century Olive Mill facing south in thirty acres, with its own river and waterfalls, three choices of private and beautifully furnished accommodation, each with its own very secluded pool and garden. 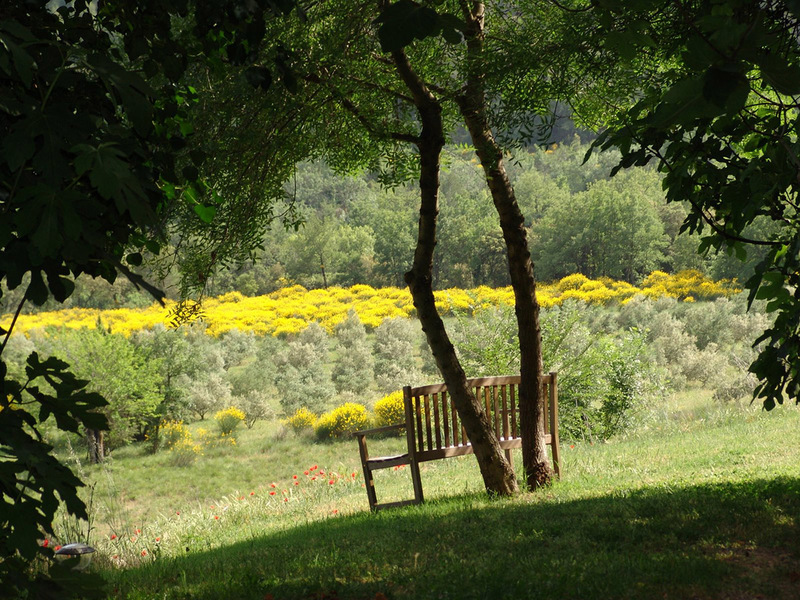 The property has 30 acres of hills, ancient woodlands of pines, oak, and laurel, wildflowers (orchids), herbs (thyme, rosemary, mint, lavender, fennel, marjoram), cherries, plums, apricots, figs, and wild asparagus. Olive trees grow by our own river (fishing is possible). The Domain is completely private, but within easy walking distance of the village. The property has been restored to provide three completely independent dwellings, each with its own private pool set well away from the others. You will be delighted by the authenticity and the charm of this period property, which has been lovingly restored by its architect owner. The extensive gardens, hills & valley are perfect for exploring – the river helps make the Olive Mill an unforgettable & unique holiday. You can explore the series of shallow pools in between the cascades. Beautifully Restored 18th Century Olive Mill near SALERNES 83690 FRANCE. 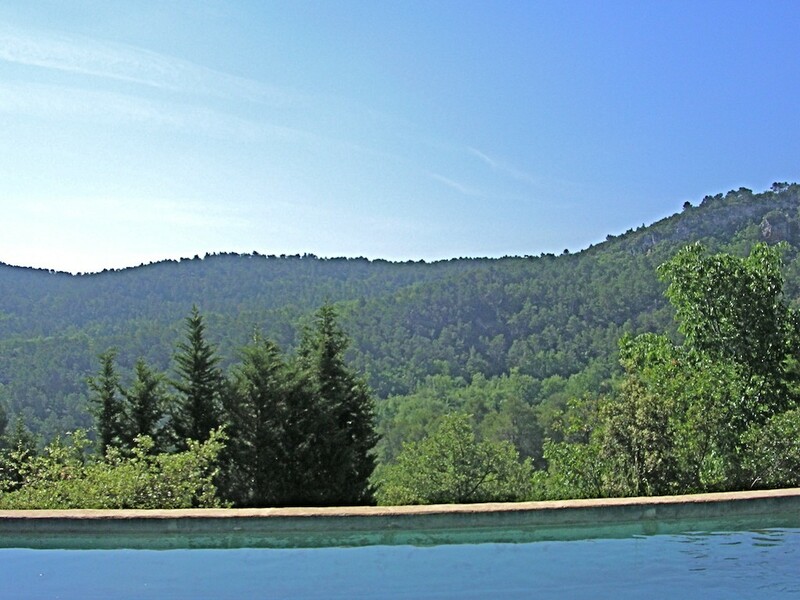 Situated in the heart of Provence, the Var offers some of the loveliest scenery in southern France. 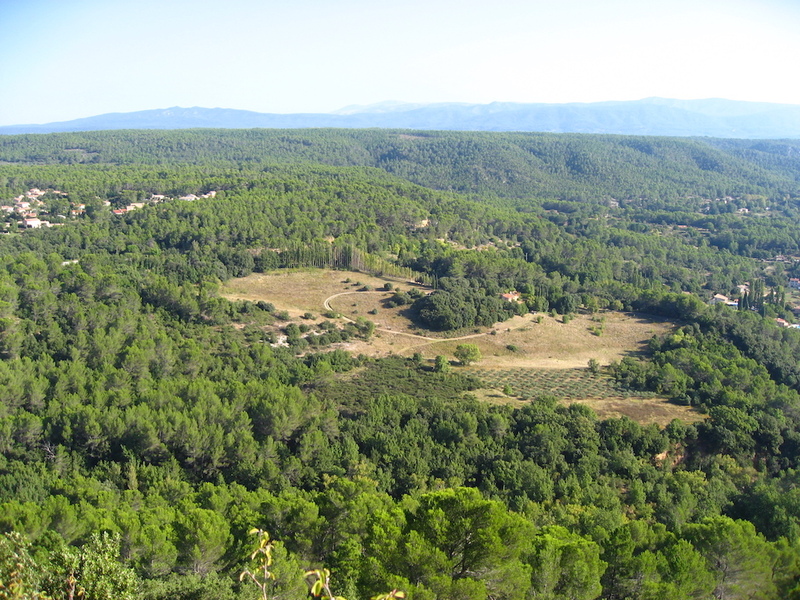 In the centre of the Var, Sillans la Cascade is a medieval hill village in an area of outstanding natural beauty. 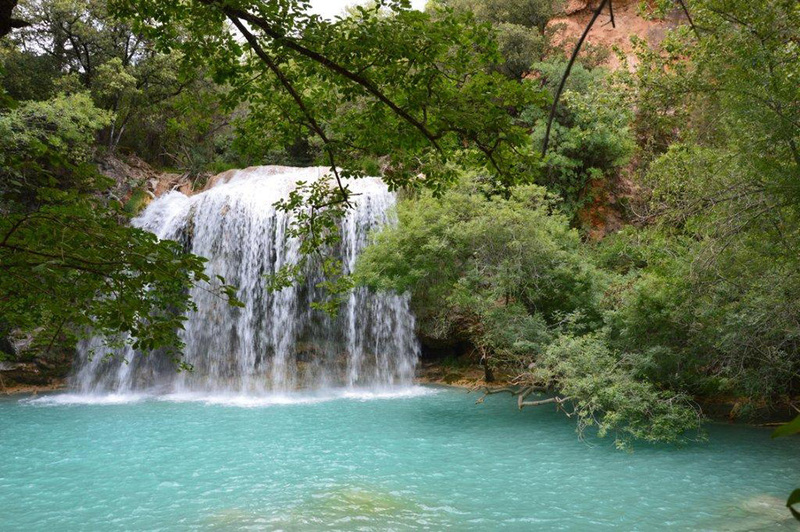 It has a spectacular 42 metre high waterfall (which you can see from our property) & idyllic walks in unspoiled countryside.